Opposition MK Tzipi Livni (Zionist Union) spoke on Saturday night about the appointment of four new justices to Israel's Supreme Court. "I congratulate the new justices and wish them much luck in their job," Livni told Channel 10. "The Supreme Court's job is to safeguard the rights of Israeli citizens, and sometimes to put a stop to a government which does not know its boundaries." 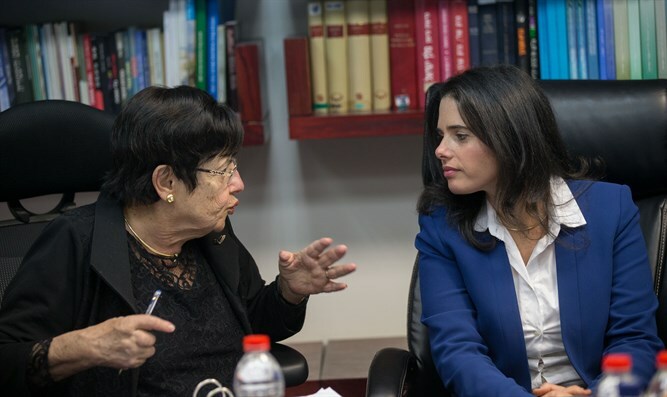 "Justice Minister Ayelet Shaked (Jewish Home) wants a submissive court, a court which will not criticize the government and which will not hinder the government's activities in any way. She wants a court which will say 'yes' to everything the government wishes to do. "I respect all the justices, and I hope Shaked will discover that she was wrong when she said that the 'ship of state' will turn in a different direction. I hope that control will remain in the hands of justices who understand that the Supreme Court's responsibility is far greater than it ever was in the past. "Israel's current government is anti-democracy." In an interview, Shaked told Channel 10, "For many years, more liberal judges were chosen and I never heard anyone make a ruckus about it. This time, we brought up the issue of politics in the court, and we tried to appoint judges who represent the interests of the Israeli public, who voted us in. "This is what it should be. This is how a democracy is supposed to function." On Wednesday, the Judicial Selection Committee chose four new justices. All of them were district judges prior to their appointment to the Supreme Court: Dr. David Mintz, a Jerusalem District Court judge, Yael Wilner of the Haifa District Court, Yosef Elron, the President of the Haifa District Court and Tel Aviv District Court Judge George Karra. The quartet of judges chosen will replace the four judges retiring from the court: Justices Miriam Naor, Elyakim Rubinstein, Salim Joubran and Tzvi Zilbertal.